Before you freak out about having to rejig your entire wardrobe for spring, start small and opt for mini additions with fresh accessories. Add subtle details that’ll freshen up your vibe, go hard with embellishments or pare back with some of our minimalist finds (we’re looking at you—letter C). 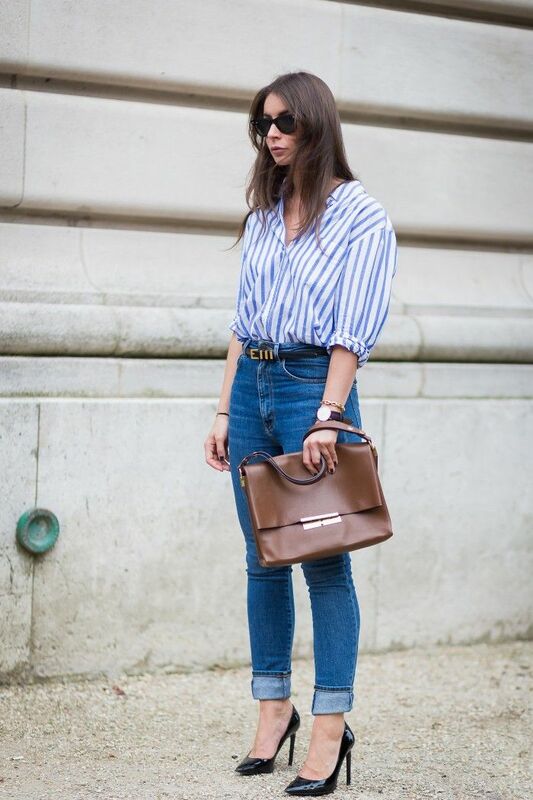 We’ve scoured all the top shopping sites and street style to discover the best bags, jewellery, shoes and more to save you time and a bunch of hard decisions. Keep reading to see the best accessory additions for your wardrobe this season. The only sneakers you need this season as modelled by Carmen Hamilton of Chronicles of Her. The crisp white makes them perfect for wearing with everything you already own. There’s no better way to mix up a simple black slip dress than with an oversized necklace. Move over bucket bags, it’s about to be all about the cube. Halfway between ladylike and novelty, we suggest wearing it with a crop top and pencil skirt like Nicole Warne. It would almost be un-Australian to not add a fun pair of sunglasses to your collection each year and define the summer. And who wouldn't want to have as much fun as Ms. Margaret Zhang? It’s been a while since oversized earrings were #trending—but they’re creeping back slowly so jump on now and let them subtly peek through your hair. Avoid looking like you’re in costume and wear these super-high heels with a longer length hem—think of it as a sophisticated nod to the ‘70s. This may seem terrifying at first glance, but when you throw it over a white tee, it’s much less threatening. Because you wouldn’t get around all year with the same handbag, right? Louis Vuitton did it, then Lara Bingle did it, so now we’re doin’ it. It's all about one dangly earring. They’re officially a fluffy fashion statement (thank you Fendi, Bambi Northwood-Blythe and Kylie Jenner for making us want one). If you feel like you can't do a full length gladiator to the knee, step into a more subtle heeled version—you'll get the look but won't feel too far out of your comfort zone. Try and name one blogger who hasn’t Instagrammed these yet. Yep, thought so. Officially. Need. Right. Now. The best part about this one? You probably already have a super simple bag in your cupboard. Bring it back out again! Aside from looking like you’re really important (read: a celebrity), you’ll protect yourself from the harsh Australian sun and it instantly makes all outfits look 10 times cooler. Forget about the ones your nanna wore, these ones are chunky, layered and best worn on bare skin. If we’ve learnt anything from models, it’s that going hands-free will always look cool. Comfort and fashion have finally become one—these will dress down your prettiest spring dress. 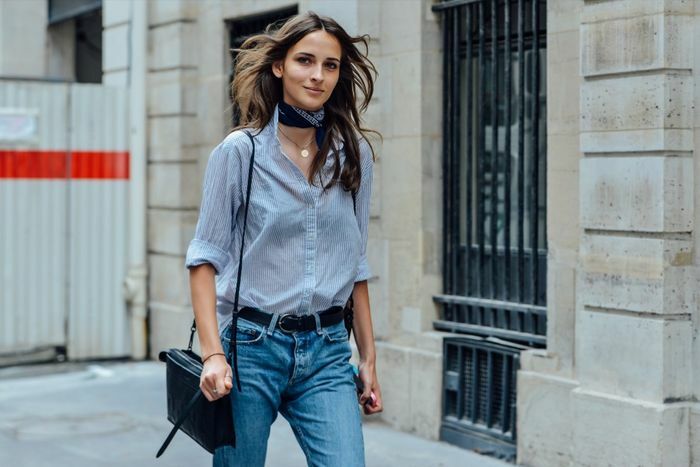 Try swapping out your necklaces and tie a skinny scarf as a choker. More is more—layer tassels upon tassels in a variety of materials and textures. We aren’t encouraging you to go and get pierced, but septum rings are everywhere. Luckily Sportsgirl has the temporary answer with a little clip on. The more texture, colour, (faux) fur, sequins and patterns, the better. Hands down. When Kendall and Gigi can’t get enough, we can’t get enough. Think of it as a new investment piece, it’ll go with everything. They’ve been around before, but Dior showcased them at its F/W 16 show and now it’s all about the chunky plastic heel. Personalised accessories. This is the best because now your BFF can’t take your things. Instantly adds the right amount of tough to your look. Which letter is your favourite? Let us know in the comments below!